Not really that much to say today, aside from the fact that UP 9859, a patched ex-DRGW 5515, is on a work train at Monument. I don't know how long they're planning on keeping it there, but the gear appears to be for a crossing replacement job this weekend. Also, Paul Z. reports that 3126 has a fully working Mars light again, so hopefully those entrusted with running it will be kind enough to turn it on for us. 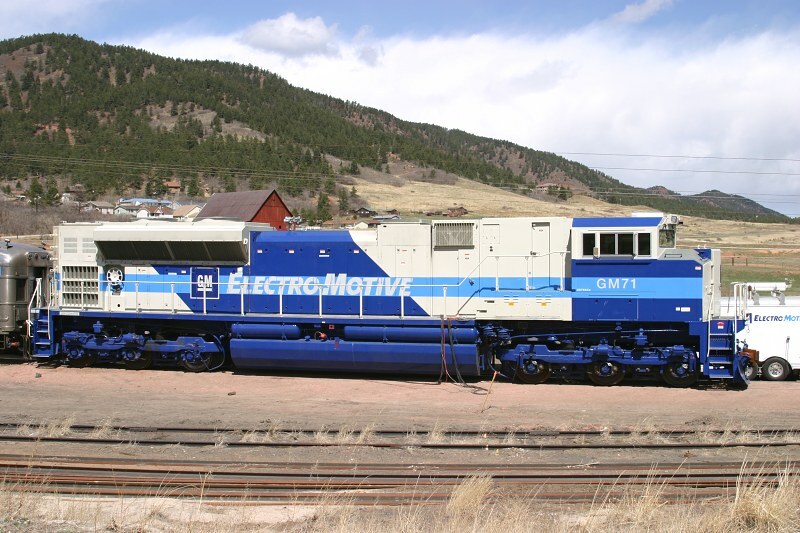 GM 70 and 71 have moved on from their Palmer Lake test site up to the east portal of the Moffat Tunnel for true high altitude testing. 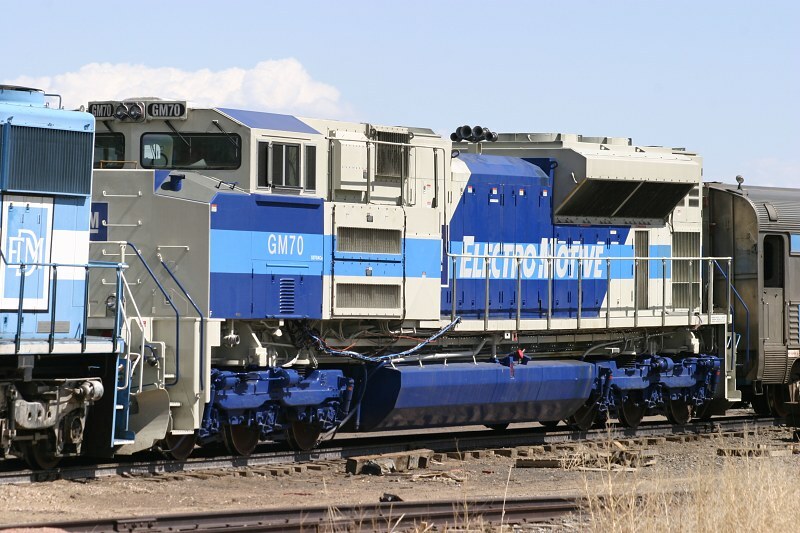 Oddly enough, the EMD folks are up there sharing space with with GE folks, as one of their test units (GECX 899) is also up there right now. 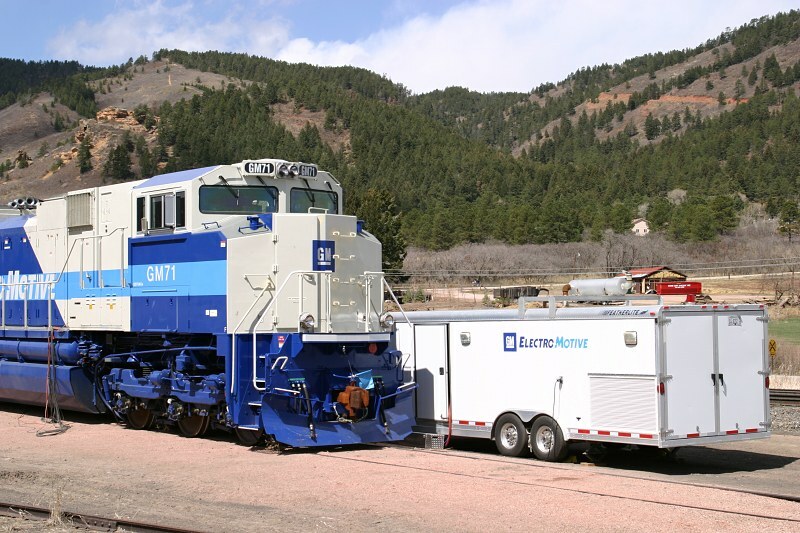 Another tunnel motor may have come home for a while, and with it comes the return of large Rio Grande power to Colorado. DRGW 5401, after a visit to Burnham that netted it new wheels, has been hauled up to Phippsburg. The word is that it will be assigned to the P-burg local. The only problem now is that I know zilch about the P-burg local, so if anybody else happens to know, please fill me in. Tyler (by the handle of eatontm) has posted this thread over on Trainorders for those of you that are members. For those that aren't, you'll be able to read it as long as it sticks around on the front page. 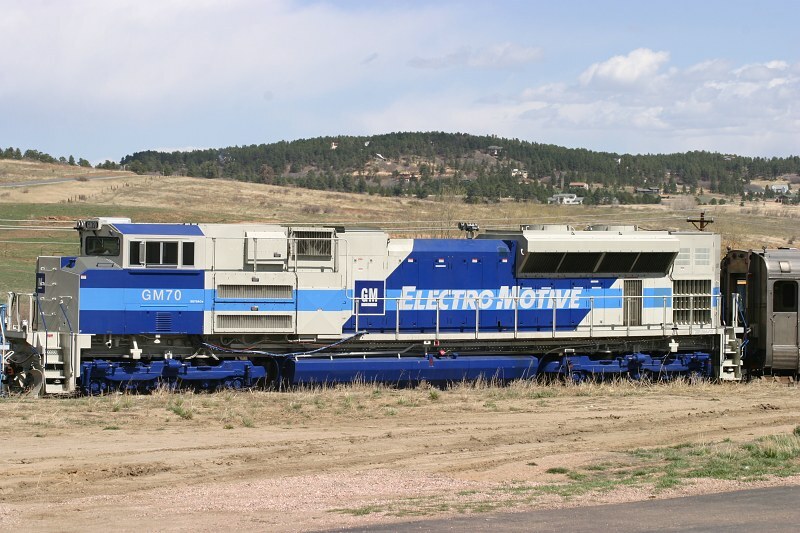 Also seen roaming about Colorado is UP 9859, ex-DRGW SD50 5515. It's just a patch job, so it's even worth going out to see. It went west from Denver on Friday on MNYGJ, and apparently headed back on Saturday. However, the trace as of this morning put it at Bond, so I don't know if it's gotten back to Denver yet. Not all of our news is diesel related. 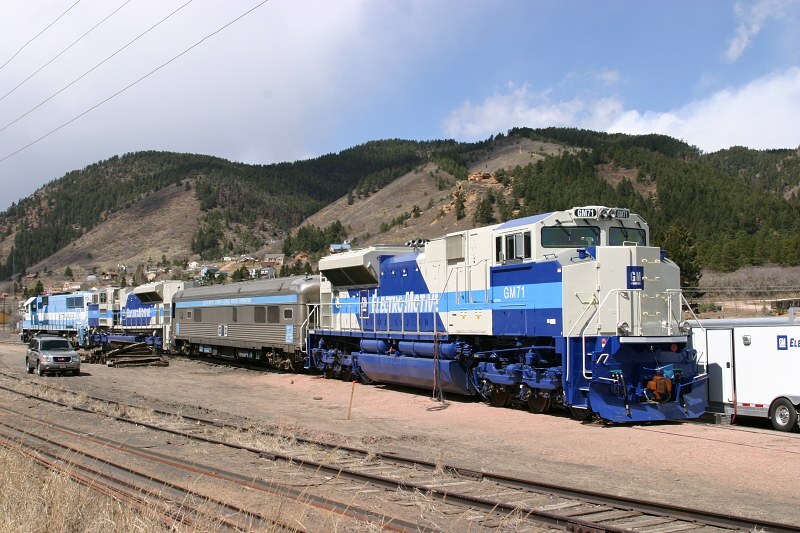 Jay Wimer reports from Chama (via the Goat) that Cumbres & Toltec / DRGW K-36 484 is now almost reassembled and has been under a full head of steam now a couple times. 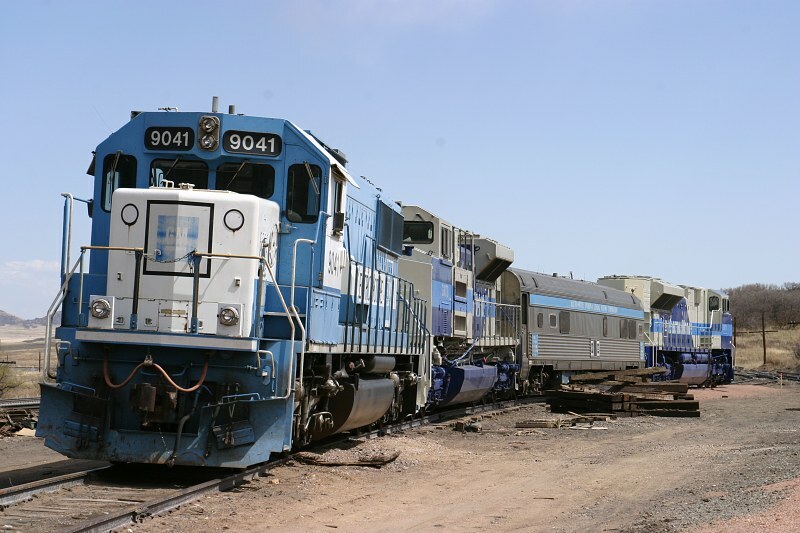 484 has been out of commission since derailing on a snow plowing train back in 1999, and now is the first of the units be rebuilt to the new FRA standards for the 2004 season. 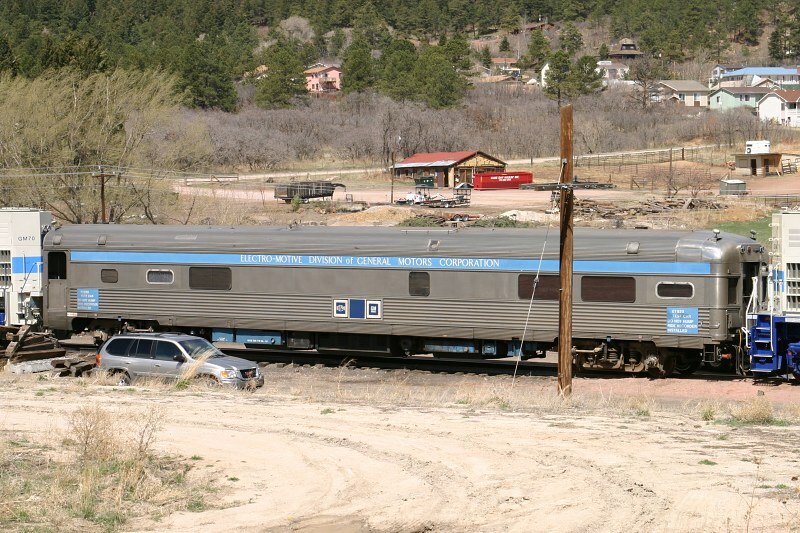 NM Governor Bill Richardson will supposedly be up in Chama tomorrow to have a passenger car named after him, and apparently they're doing their best to have 484 out as a showpiece. Jay's first round of 484 photos can be found here, and then an update from today can be seen here. Normally I wouldn't post another separate news story just to add photos, but two brand new units sitting still in a public area just begs for dozens of photos to be taken. So, I bring you photos (all 800x533). 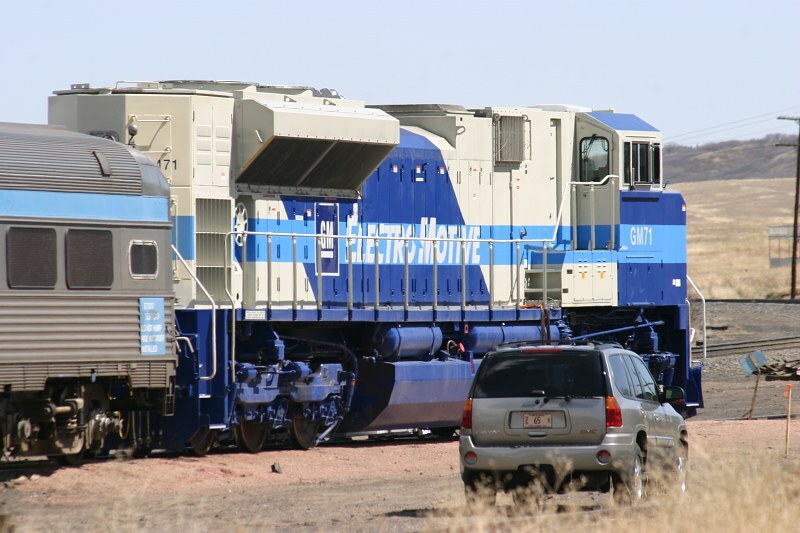 Today I just a few bits of news from out and about on the modern day ex-Rio Grande system. 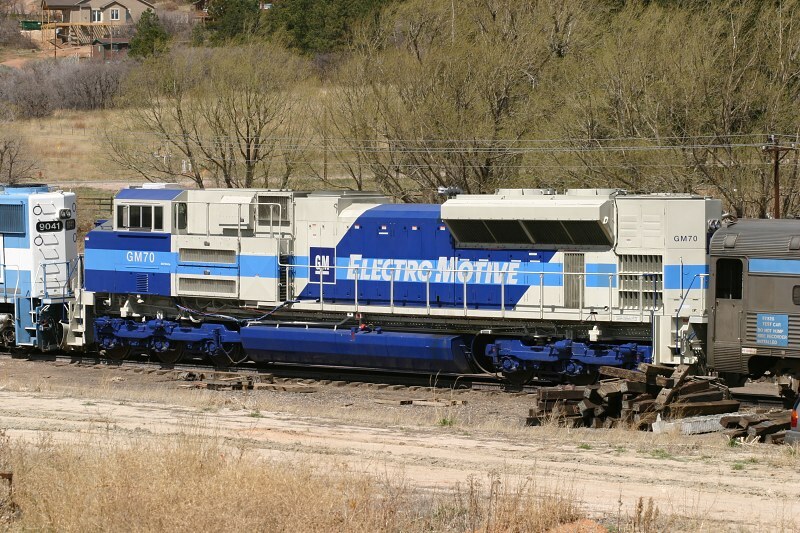 The first was sent in from Harold Reardon, who caught up with ex-DRGW 5377, now GECX 8632, at Tyrone, OK. As you'll recall, this motor is part of a group returned to GE Capital when their lease expired in late January. 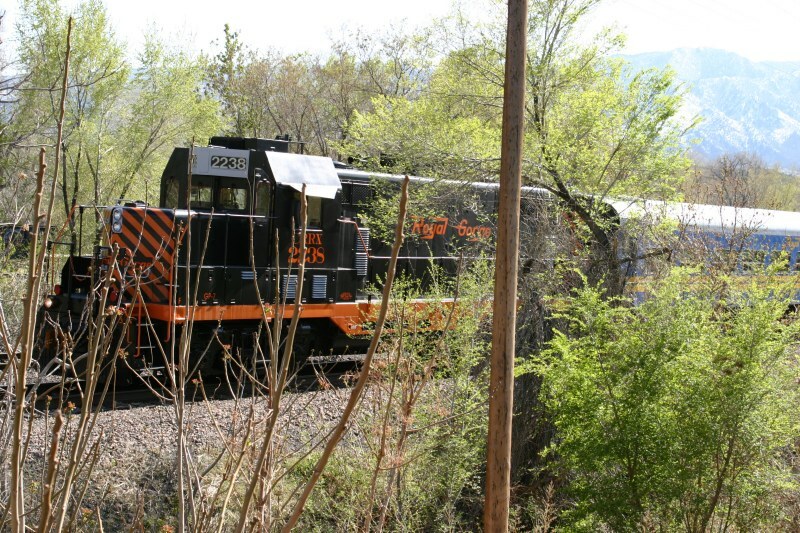 They're now back out on the road as units leased back to the UP, in mostly Rio Grande paint except for the patches and all DRGW logos blanked out. It looks rather naked, but it's still better than yellow and grey. Take a look at Harold's photo here. 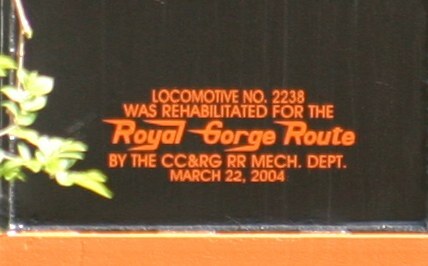 The process of finding a new qualified operator for the Georgetown Loop railroad for the 2005 season is proceeding. 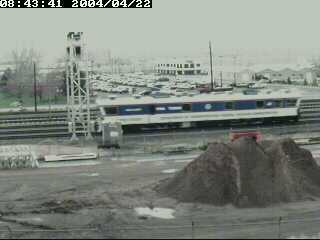 A Request for Information was published on their website, requesting inquiries by 3-May-2004. You can read it here. 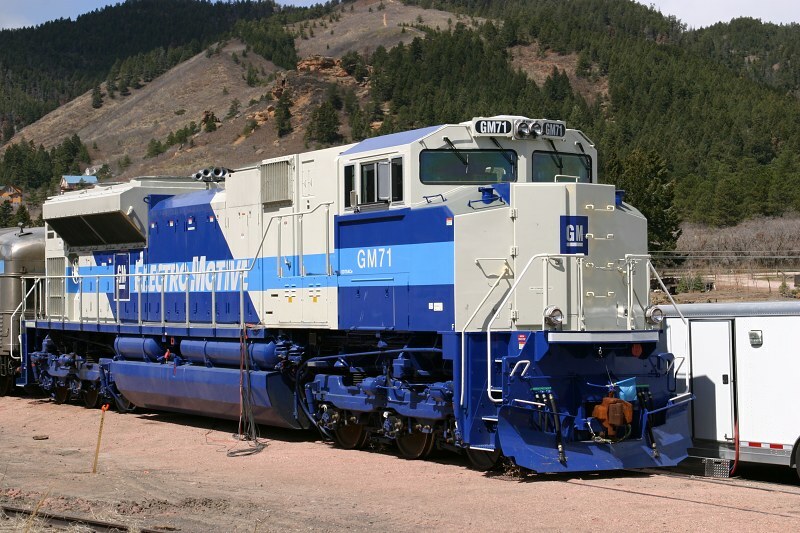 As many of you will recall, the current operator (who also, incidentally, owns most, if not all, of the equipment and has created a rather successful operation over the past 30 years) is not having their contract renewed at the end of the 2004 season. Contract negotiations have apparently broken down over contract length and insurance coverage, along with various maintenance and restoration items. My commentary... Unfotunately it looks like the Colorado Historical Society hasn't come to their senses yet. There are very, very few groups qualified or interested in running a steam-powered narrow gauge mountain railroad. 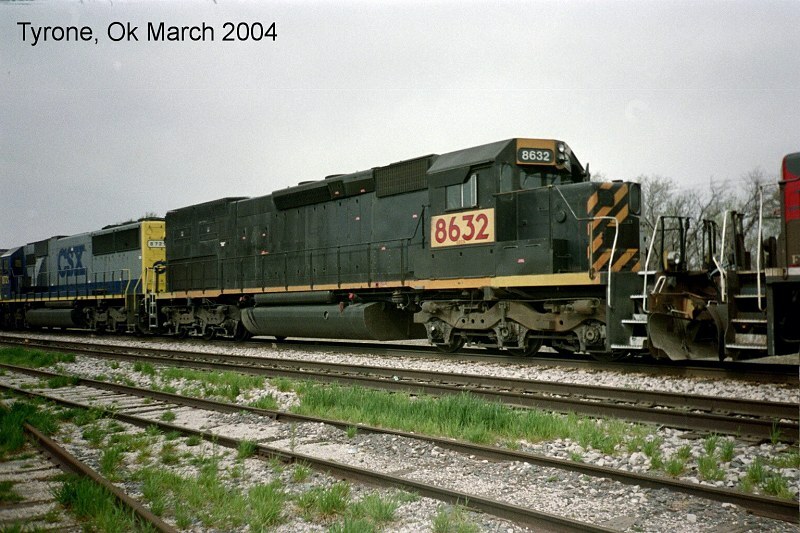 Worse yet, there are very few, if any, narrow gauge locomotives available that meet current FRA standards. Most of the units that meet current boiler specs are already in daily use, and other tourist roads (the C&TS particularly) are scrounging for enough money to get the bare minimum number of units on the road this year. Add to that the need to acquire rolling stock, and I believe that means there may not be any other viable operators. Greska (the current operator) has both the knowledge and the equipment, and has a proven successful track record of over thirty years. 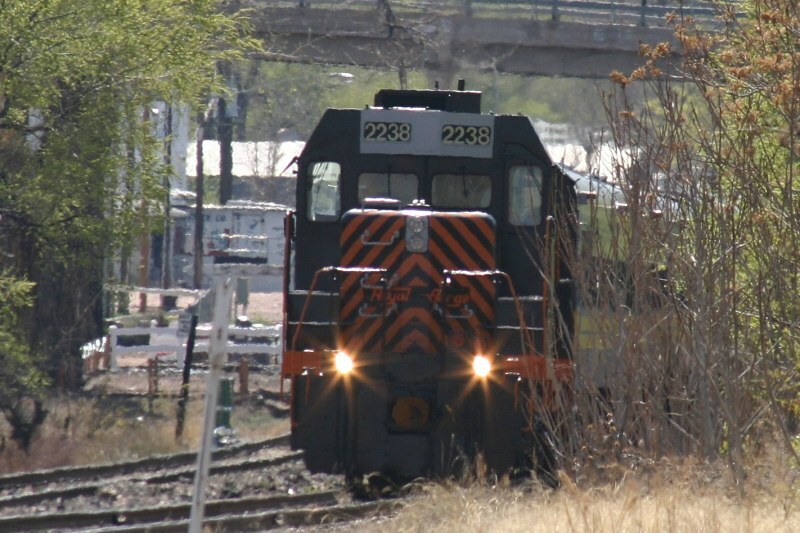 Why not go back to negotiating and work out the problems, for the betterment of Clear Creek County's economy, Colorado's history, and narrow gauge preservation everywhere? Both sides clearly need to be working together to hammer out something that's acceptable, since clearly both have distinct differences in what they want from when negotiations broke down.